Using the analogy of surgical strikes, Prime Minister Narendra Modi on Saturday wondered what would have happened if the government had adopted similar strategy in the recent campaign against black money, which unearthed Rs.65,000 crore. "We gave some time to those who had generated black money (to declare it). You Will be happy to know that Rs.65,000 crore in black money came into main stream with payment of tax and penalty. "Now think, Rs.36,000 crore that was leaking has been stopped (by direct benefit transfer), and Rs.65,000 crore of black money is unearthed, together it is 1 lakh-crore. 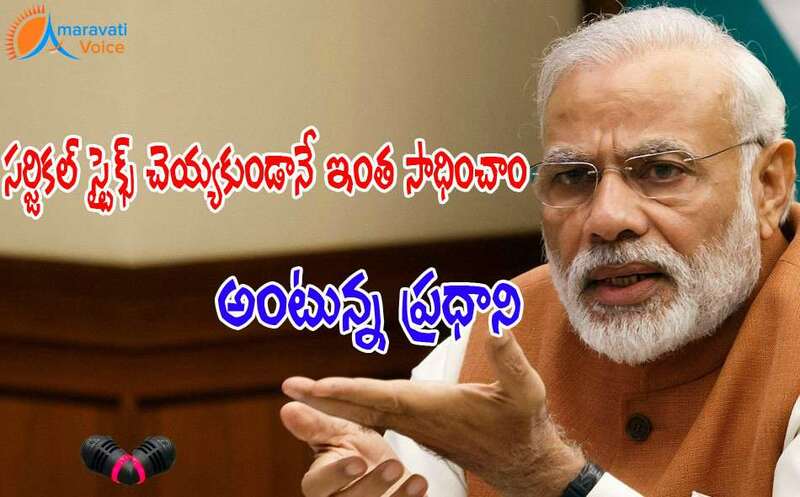 And this Rs.1 lakh-crore has been brought back without launching surgical strikes," Modi said, invoking the term used for recent operation by Army against terror launch pads in PoK. “If we do surgical strikes (in this area), you can imagine what all will come out," the PM said.